Home / Business / Will Power Prices Head North Further? Will Power Prices Head North Further? 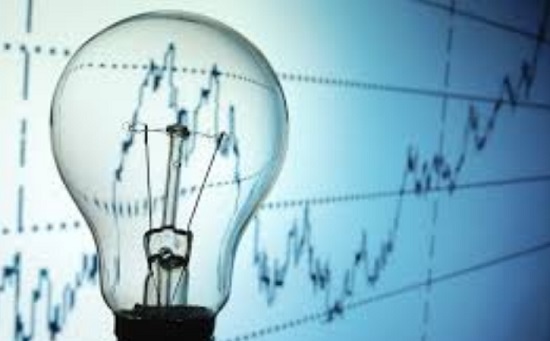 Jaipur : Day ahead buying strategy from exchanges by Discoms and rising power demand power demand triggered the spot power prices to cross Rs 6.20 per unit on Tuesday, May 22, 2018. This hike came into light as the demand for thermal power is on the rise coupled with less than adequate coal supply. At this point of time, the solution for the Discoms is to enter into long term PPAs with the power players. Long term PPAs will ensure the unhindered source of power at a cost pre-decided on and help to control costs of the Discoms as well as the common people. This is the need of the hour as this will help in controlling this sudden spike which is in greater interest of the common man. According to industry watchers the power demand will continue to increase with more people getting access to electricity. Today, key drivers for the demand is the Government’s push for ‘24x7 Power for All’, development of ‘smart cities’, the ‘Housing for All’ scheme, industrial push through ‘Make in India’, increasing urbanisation, infrastructure requirements, electric mobility, and the present economic growth. India is expected to see widening power deficit both in terms of base demand and peak demand. Even with fast growth in renewable, thermal plants critical to meet base load and evening peak with solar not available and wind requires certain speed to generate electricity. In its April 2018 commentary, Observer Research Foundation, pointed that the government’s push for rural electrification is also expected to add to power demand that will exert supply pressure on coal. Coal India’s production target for FY18 was set at 630 mt, later reset to 600 mt and the company ended up producing 567 mt. Shortage of coal at Jindal Tamnar Thermal Station, Chhattisgarh, and Jhabua Thermal Station, Madhya Pradesh, has hit power supply in Kerala. Distribution firms from Gujarat, Maharashtra, West Bengal, Bihar, Andhra and Tamil Nadu buy power from spot market to meet supply shortfall. If they are forced to buy costly power, as is the case now, the cost will be passed on to retail and industrial consumers via higher tariff. Between FY 2007 and FY 2017, India’s peak demand increased at approximately 5% compounded annual growth rate to reach 159.54 GW, while the installed power generation increased at a CAGR of approximately 10%, from 200 GW to 327 GW during the period. This has been driven by healthy growth in gross domestic product (“GDP”), although the deteriorating financial health of distribution companies has curtailed growth.